(Holy Sh*t!) It can not be! I was about to suffer sun stroke on a sweltering bus trip from Barcelona to a tiny town up the coast, sticking to my vinyl seat and gulping at my agua con gas. What saved me? A voice from above, or actually, my Sony Walkman (1990!) in the form of The Three Tenors recording. Sure there was plenty of fun stuff from the other two, but it was Placido Domingo singing a song that I had never heard that made me forget my woes and the smelly guy next to me. The song was “No Puede Ser,” a popular Zarzuela, or Spanish operetta, aria. It’s a big, schmaltzy love song for tenor and orchestra meaning “It can not be,” but that doesn’t matter. What does matter is the last three notes of the song, which so floored me I stared dumbfounded at my Walkman before rewinding again and again. The video was released a few months later and lo and behold, the conductor Zubin Mehta does the same thing! He literally stares at Domingo when he finishes, almost shaking his head in disbelief at what he’s just heard, and bows down to him as they shake hands. It’s that good. 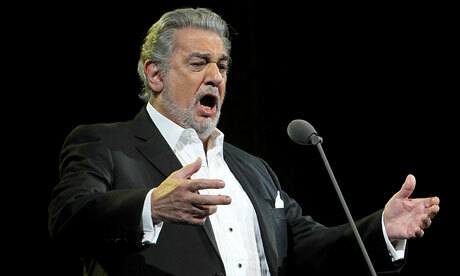 Domingo in his prime, not in “Tosca” at the Met, but in a knock-em-dead performance of a lovely little ditty.